ZSL London Zoo celebrates the festive season with a magical new light trail. 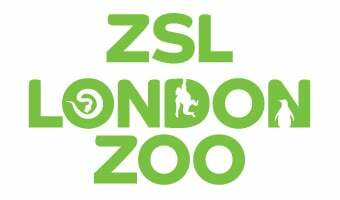 Christmas will be coming to ZSL London Zoo like never before this winter – with a magical new family experience, Christmas at London Zoo. On select dates between Thursday 22 November and Monday 1 January visitors are invited to journey through the Zoo on a festive Christmas light trail, experiencing the landmark London location in a different light. After the sun sets and the animals have bedded down for the night, the Zoo will transform into a fairyland of twinkling decorations - celebrating the festive season with a series of illuminated animal sculptures, light tunnels and Christmas surprises. Feel the holiday spirit on this enchanting self-guided tour, where you’ll see glowing fountains at the historic Lubetkin penguin pool, hear the mesmerising sounds of the Singing Trees and wander under an unforgettable canopy of over 100,000 gently glistening lights. Tip toe past the sleeping animals to marvel at glittering flying flamingos and towering giraffe sculptures before peering from behind the paws of a giant glowing lion into the twinkling night sky. No yuletide stroll would be complete without a warming glass of mulled wine or hot chocolate, so head to the Zoo’s Christmas village for traditional treats including toasted marshmallows and roasted chestnuts - before picking up a gift or two for the animal-lover in your life at the ZSL shop. A limited number of Christmas at London Zoo tickets are also available for upgrade, offering guests the opportunity to finish up the magical evening by sleeping within roaring distance of the lions at the Gir Lion Lodge: nine Christmas cabins nestled in the heart of the Zoo. The most unique way to spread goodwill this Christmas, by bringing your family to Christmas at London Zoo you’ll also be supporting international wildlife charity ZSL’s valuable conservation work.